Let me start by saying that KA's Burying Water series is one of my favorite series ever. Each one of them have been a favorite and Chasing River was no different. KA outdid herself with this book! 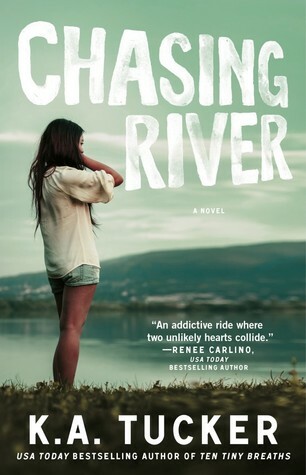 Chasing River really has it all, and it was everything I expected and then some. If you have read Burying Water you may remember Jesse's sister Amber. She has been planning for a trip around the world for quite some time now. In Chasing River we follow Amber in her adventure and what an adventure it was! I absolutely loved that we get a little bit of a background story on the IRA and the tough political times in Ireland from the past and present. 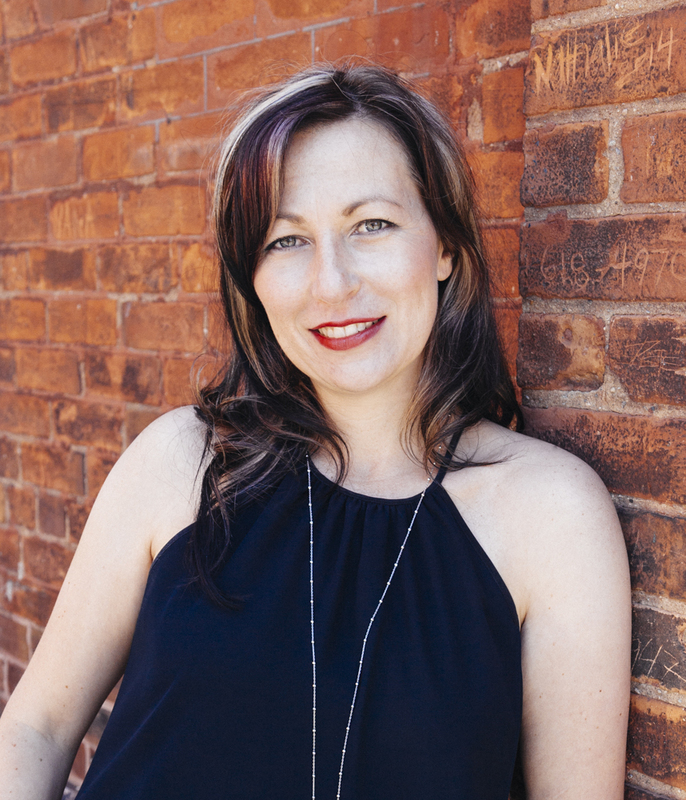 Ireland was one of Amber's destinations and she had it all planned out, the places she would visit and the tours she would take, she had a whole Travel Bucket List full of options. That is until she finds herself walking towards the wrong place at the wrong time. This is where she encounters River, who literally saves her life, or at least saves her from being very badly hurt. The strange thing was that after saving her life he disappeared, and though Amber was forever grateful to this stranger, she couldn't deny it was suspicious he was there to help and even more suspicious that he wouldn't stick around. River has a complicated story. His family had once fought with the IRA and believed in their cause. Something River and both his brothers, Rowen and Aengus, grew up surrounded by, and while River no longer got himself involved with any of that business his brother Aengus still did. Amber had always walked on the right side of the law and being the Sheriff's daughter always made her a stickler as far as rules go. Despite the suspicion Irish police planted in her regarding the mysterious stranger who saved her life, she can't stop thinking about him. 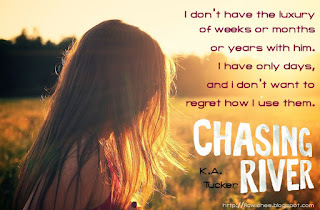 Unexpectedly Amber will stumble upon the opportunity to track River down, and she takes it, besides wanting to see him again she wanted to thank him for saving her life. 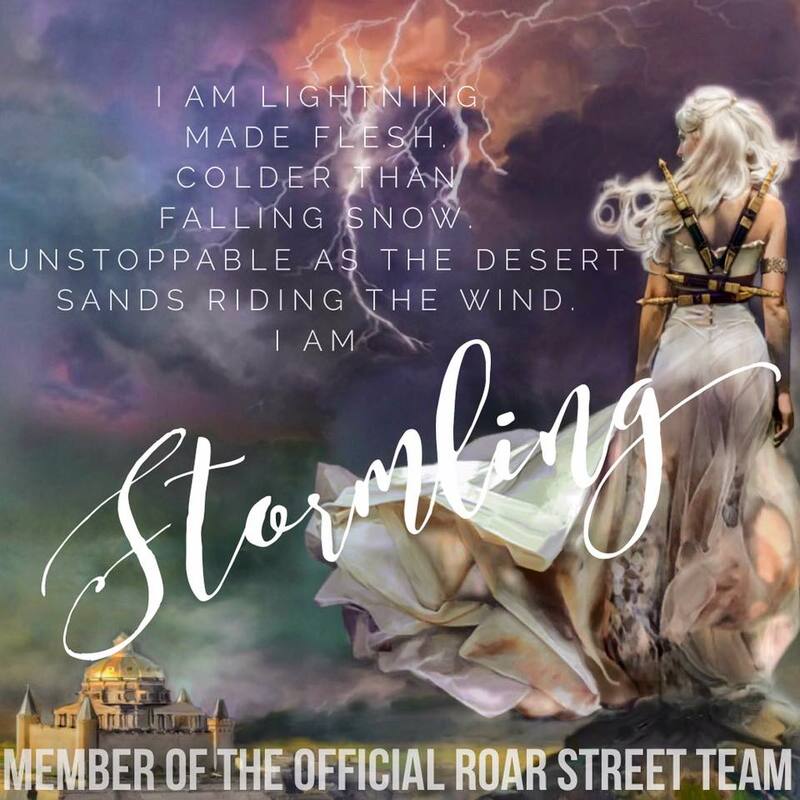 River and Amber never expected to have the connection they had from the beginning, even that first day when River pushes Amber out of danger's way. They both know that her time in Ireland is limited, and Amber has never been the type of girl to have a one night stand with a bartender, even if this bartender is who saved her life. At the same time she wants to be that girl who lives in the moment and doesn't worry about the rules. Amber wants more than anything to be able to follow her heart. Things won't be easy though. It's not just about her having a life in Oregon she needs to get back to and River having a life he can't abandon in Ireland. 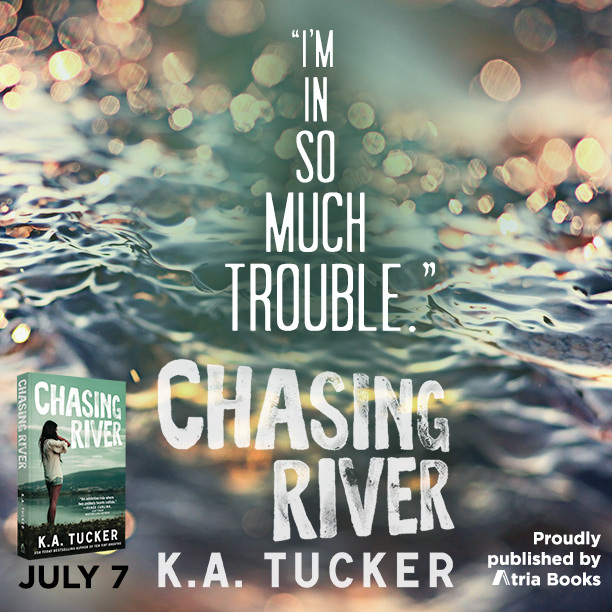 There are secrets Amber will discover about River and his family and what it means for any kind of future for them. She's afraid of making the wrong decision, she is afraid of getting hurt, she afraid for River and afraid for herself. She will have to decide what matters most, obeying the law or protecting the man she has fallen for. I couldn't get enough of this story. What I loved the most was that I felt a connection with each one the characters. KA is great at getting the reader to identify with her characters, I even felt bad for Aengus at one point and believe me that's not an easy task. I mentioned earlier that this story has it all, and it really does. Adventure, romance, unexpected turns and even humor. We get to see a lot of Ivy in Chasing River (you may remember her from Burying Water, she was the tattoo artist friends with Jesse) and I really can't wait to get to know her even better in the next book! 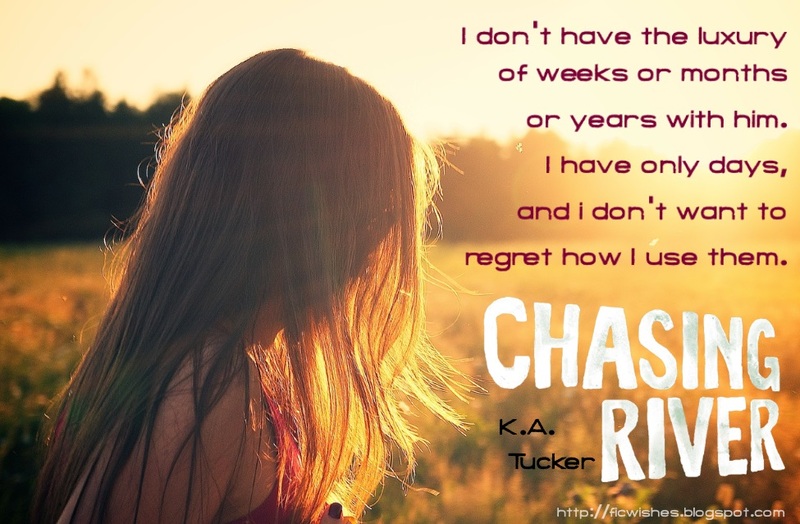 Beautifully written and most definitely my favorite of KA's books, nothing is more captivating for me than seeing character development and in Chasing River we get just that with Amber. We see her grow in more ways than one, we see her find a balance between her old and new self. If Chasing River is not in your TBR you need to fix that right this second, I 150% recommend it. You may want to add Burying Water and Becoming Rain as well, as they are both absolutely fantastic! I'd love to visit so many places! Greece, Italy, Paris, Ireland, New Zealand, Australia, Alaska, Fiji, just to name a few! Venice, Japan, Hawaii, Rome, Geeece, Australia... Everywhere!